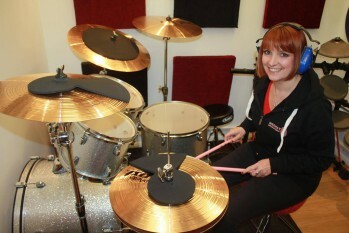 Affiliated Schools use the Backbone Drums syllabus and offer an extremely high standard of tuition and facilities. Here are our current affiliated schools, with more being added all the time. Please contact us if you would like to become an affiliated school. 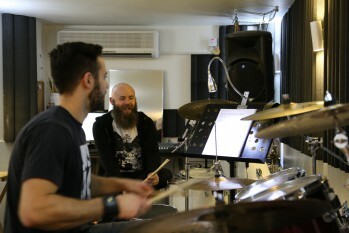 Established 2003, Tunbridge Wells Music School is a full music school offering one on one and group tuition for drums, guitar, bass, piano, keyboard and vocals. They are also an exam centre for the nationally accredited ‘Rock School’ grading syllabus and run regular workshops and group lessons. Standards are exceptionally high, with some students continuing lessons for up to 10 years. 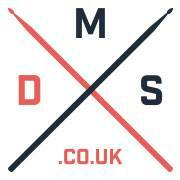 The founder of TW Music school is Dave Hazlewood, who is also the creator of Backbone Drums. With over 30 years experience, Dave has played and taught professionally for over 20 years, and spent 10 years touring worldwide with top UK punk rock band The Anti-Nowhere League. 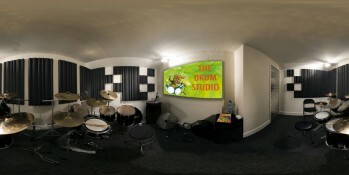 Medway Drum Studio started trading in October 2013. 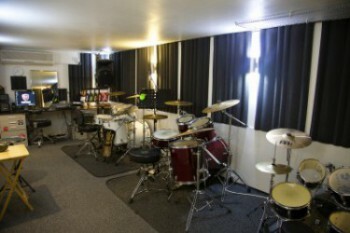 The studio is fully equipped with two main kits, a great sound system, off road parking and a waiting room. 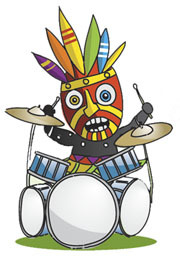 As well as one on one drum lessons, they provide drum circles for education, team building and breakout sessions. Drum circles are also effective at community events and parties. Principle teacher and studio owner, Phil Wilson, first started teaching at a private music school in Sevenoaks in the early 90s. There using Associated Board and The Guildhall School for Music and Drama syllabus, exam passes were either “With Merit” or Distinction.” Medway Drum Studio is endorsed by Mapex Drums UK, Paiste Cymbals and Vic Firth Drum Sticks. The Drum Studio is run by long time drummer and friend of Backbone Drums, Mike Small. Founded in 2005, the school now has 2 teachers and over 50 students. 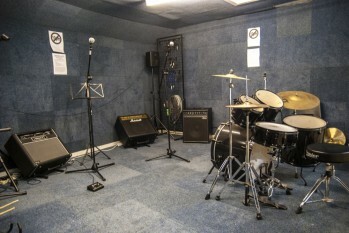 The studio is extremely professionally set up with a fully soundproofed/air conditioned teaching room, 2 drum kits, PA system and a waiting area. 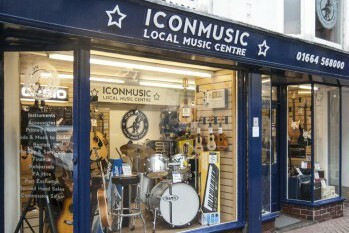 MI retail store Icon Music views music tuition as the heart of it’s business model. Their mission statement is to create, nurture and support musicians in many instruments right from the beginning and for as long as they continue to play. As part of that structure, owner Tom Griggs BSc (Hons) has offered drum tuition for nearly 20 years to hundreds of students. Tom started his playing career at the age of 15, initially motivated to by rock and metal heroes such as Lars Ulrich, Dave Grohl, Raymond Herrera & Morgan Rose, he later discovered the subtleties of players such as Dave Weckl and Steve Gadd and later the new breed of Virgil, Marco and Mr Lang, which transformed the idea of drumming into an a serious art-form, prompting a course of study through college and University. Since cutting his teeth on Metal for a number of years, Tom has performed in a number of reputed function and pub circuit bands and continues to do so, but has always been motivated by the art of passing on knowledge and mentoring people to succeed. He maintains a high retention rate for pupils with very few early quitters and some staying on for 6, 7 or more years and has had notable success with people with learning difficulties and special needs. Many of his pupils have themselves chosen to study music in higher education. Adam fell in love with the drums aged 13 and has never looked back since. 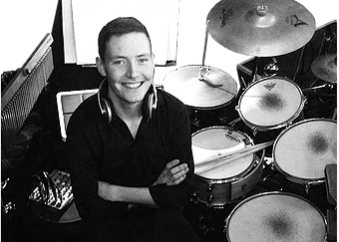 After following a keen interest in music and gaining invaluable gigging experience in his school days, he spent 4 years learning his craft under such highly experienced drummers as Mike Sturgis, Pete Riley and Stu Roberts at the Academy of Contemporary Music, from where he graduated in 2010. Since then he has worked as a freelance drummer across a range of musical platforms. Jason Robertson, a retired U.S. Navy musician having served 20 years, has been teaching percussion since 1990. He is a graduate of the Armed Forces School of Music Basic and Advanced Courses. His goal is to help students reach their goals, whatever they may be. 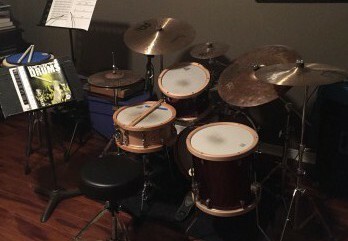 Jason can teach all styles of music (rock, funk, country, blues, swing, Latin) on drum set, as well as snare drum. He can work with children as young as 4 years old as well as adults. 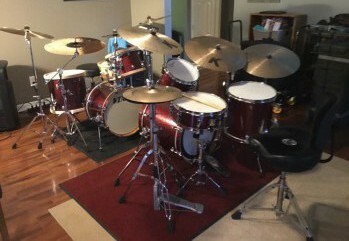 Jason can also teach students to read music, learn rudiments, prepare for school and band auditions, and, most importantly – have fun playing the drums!